Simulcasting - We will simulcast your event to remote video monitors throuout your event. Do you have guests that cannot attend your event? Let CMR Entertainment broadcast your even live over the internet on our private channel! We'll give you a logon and password and easy instructions that you can share with your guests so they can watch your event live as it's happening! We can even add a chat window so that you and your guests can chat with your guests who are watching your event on the webcast. This optional add on is available with any of our services or just by itself. 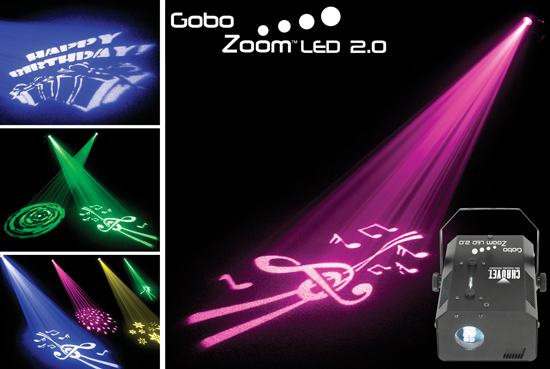 We have an extensive selection of lighting FX available to enhance any event or occasion. 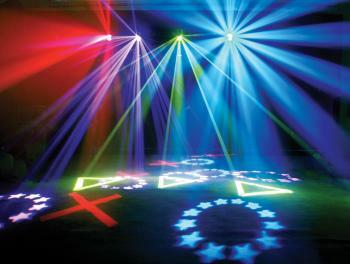 Our Lighting FX will help to bring your event to the next level. Lighting FX are available in all sizes from small basic packages to full lighting packages. Room Uplighting can transform any venue, large or small creating a completely different atmosphere for any occasion! CMR Entertainment can cover the whole room, or just the dance floor area if you would prefer. We can also use our uplighting package to create a stunning entrance to the venue, or as a DJ or Band backdrop giving your event that special and elegant look. 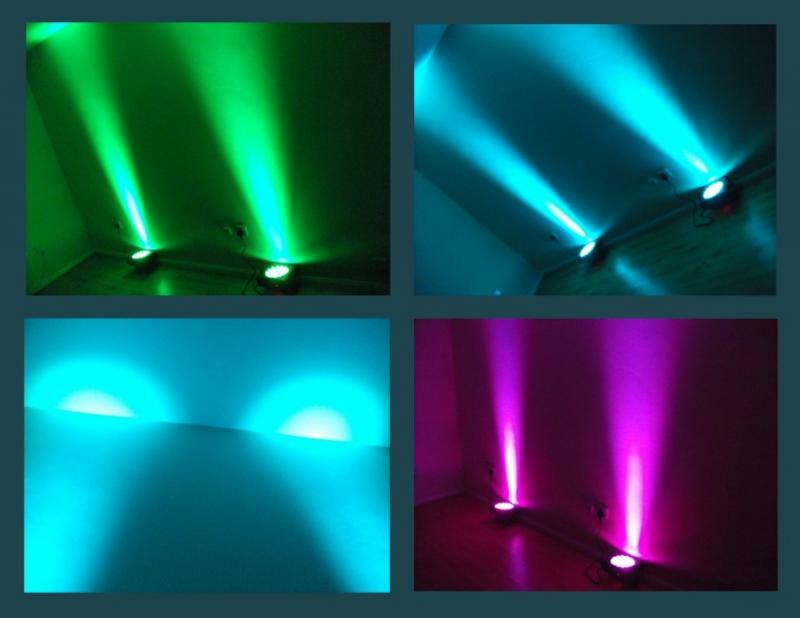 We provide the ideal look for your LED uplighting, transforming a dull or white room with a single color or colors of your choice. The beauty of LED light technology means that by mixing Red, Green Blue, White and Amber LEDs, we can create thousands of different colors to match almost any color or colors of your choice. 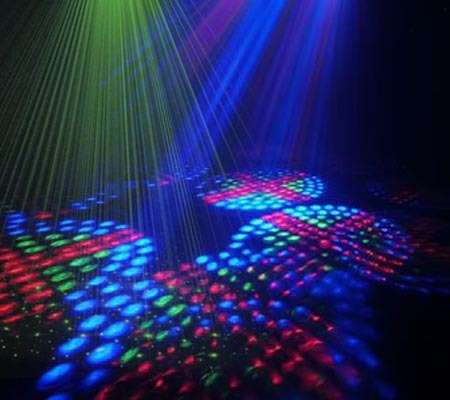 Each light can be individually controlled, so its possible to have one single color throughout the room, or alternating colors, or even a random assortment of colors. We can create any effect you like. LED Lights don't get hot and they consume very little power, which makes them ideal for any occasion even when there are small children around. We also have wireless uplighting options available for lighting tables in any location of the room. Our lighting specialists are available to help make your lighting ideas and dreams a reality. Photo Montages are a great way to add a special touch to any event. This is not a power point slideshow. Our montages tell a story with your photos. Our Montages are professionally produced and set to music that is appropriate to the theme of your montage. We provide all types of Video Photo Montages including, Growing-Up Photo Montages for Rehearsal Dinner and Wedding Reception, Wedding Photo Montages, Honeymoon Photo Montages, Anniversary Photo Montages, Birthday Photo Montages, Grand Entrance Montages, Family Photo Montages, Special Events Photo Montages, Year Book Photo Montages, Sports Photo Montages, Real Estate Photo Montages and more much. High-quality photo scanning of your photos, prints, and printed materials (i.e. newspaper articles, announcements, invitations, etc. ).